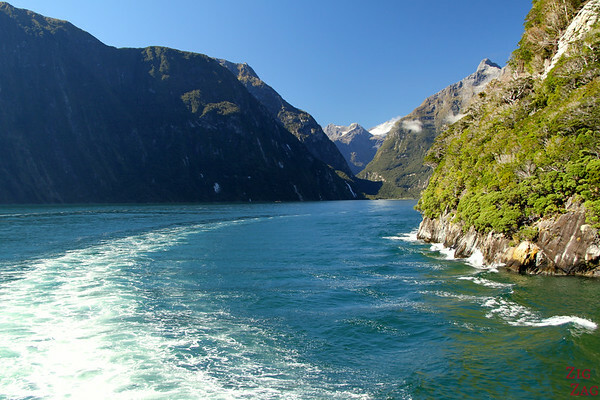 Milford Sound, the most famous fjord of South Island dis not disappoint: Cruising on calm waters surrounded by abrupt cliffs, rainforest and waterfalls… the discovery was captivating! 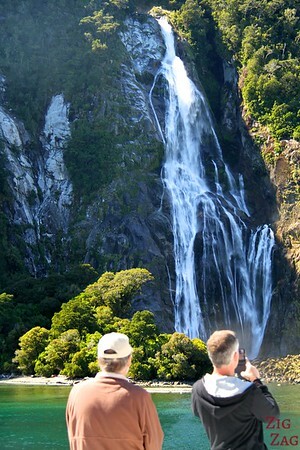 Milford Sound is considered a Must do while visiting New Zealand’s South Island. 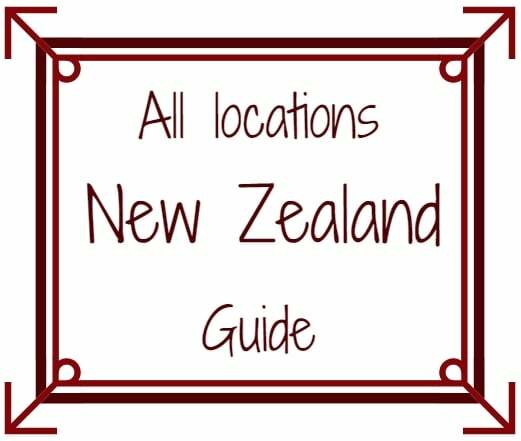 It is the most accessible Sound which makes it…a very touristic place. 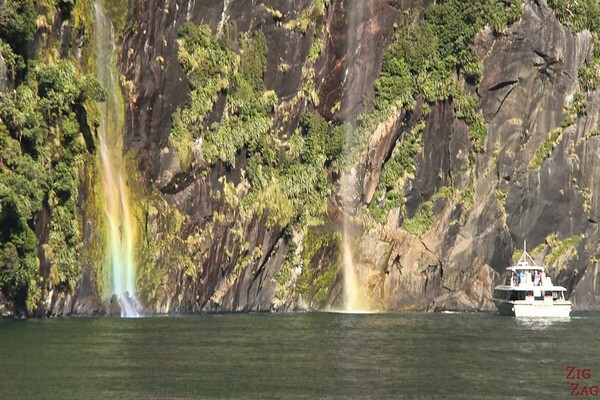 It is one of the most accessible fiords, the only one which can be accesses by road. Quite still, the steep cliffs are covered with rainforest. 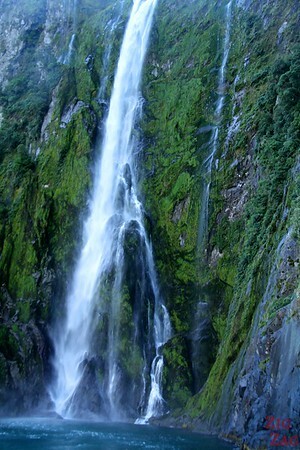 The highest point of Milford Sound is the Mitre Peak - culminating at 1,692 metres. Bring some rain gear and warm clothes. You will see in the picture that I was lucky, but most of the time the weather is not so sunny. 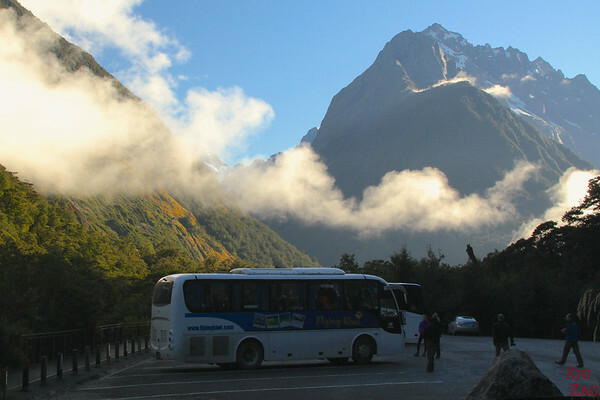 The drive down Milford Road is already an adventure with stunning landscapes before and after the tunnel. Although I wished we had the place to ourselves, the pacing of the different boats is quite nice and crossing them can help create better compositions on pictures. The boat was spacious enough and we all had one free muffins and some warm drinks. ​However the boat was a bit too big for my taste. 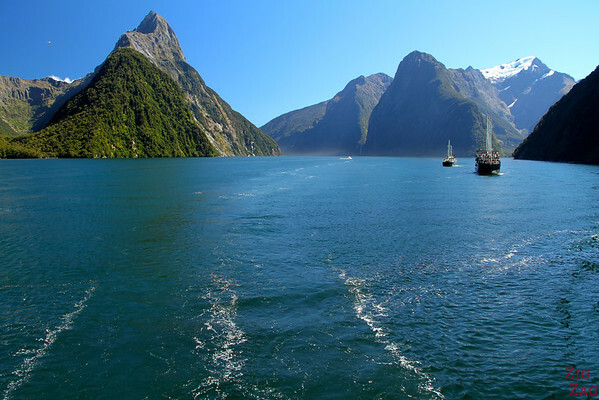 Milford Sound, part of Fiordland National Park, reaches 400 metres deep in places. It is actually a fjord as it was formed by the erosive effects of a glacier. 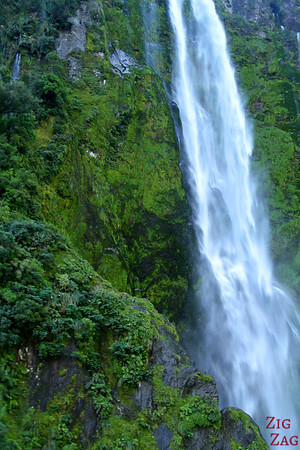 Mitre Peak, the prominent peak in the picture below, rises at 1692 meters. 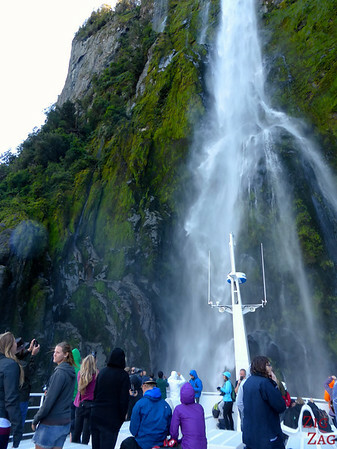 As you can see we had a wonderful blue sky for our cruise of Milford Sound. This was not the best weather to enjoy many waterfalls but we still saw some great ones. To compare with how it looks like with bad weather I recommend Young Adventuress Liz's rendering of the legend of Milford Sound. 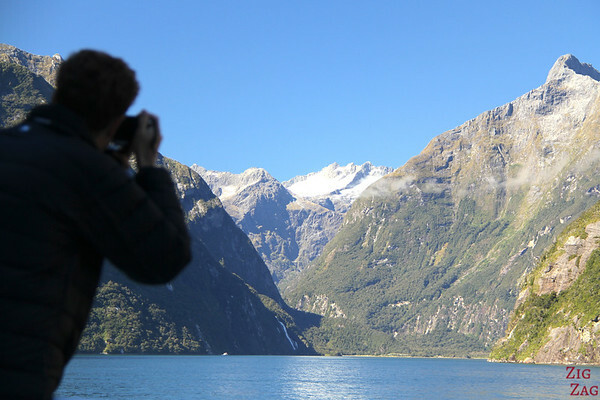 Have you ever visited a fjord?